When you think of Venice, you probably think of riding in romantic gondolas down the canals of the city. 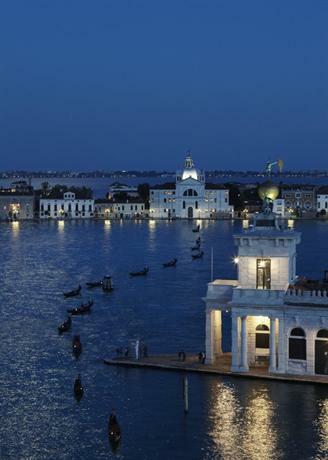 That is a fair impression, and it accounts for the primary reason why this capital city from Italy’s Veneto region draws tourists from across the globe. It is quite possibly one of the most romantic getaways in the world, with a culture and architectural aesthetic that seems untouched by the prodding fingers of modernity. Most of the city features Renaissance and Gothic architectural influences, which accounts for the rustic and otherworldly aura of the city. In this article we’ve listed out the top 10 luxury five star hotels that accurately represent and embody the essence of the city of Venice. 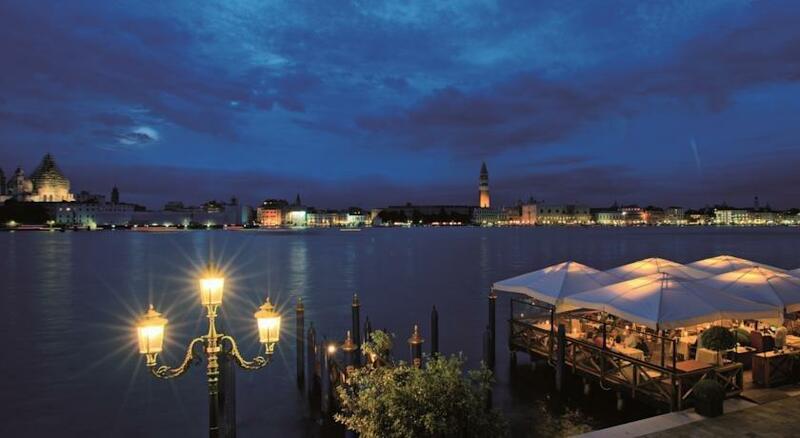 Located on the easternmost point of the Giudecca island, this luxury hotel is truly Venetian in taste and design. This hotel isn''t right in the midst of the waterways of Venice, however it’s a short ride away. It offers stunning vistas of the City of Water, and offers you access and solitude together, thus being a perfect retreat for the more introspective travelers. The boutique hotel is designed in a very elegant fashion with lush manicured lawns, a luxurious spa, and a large swimming pool. 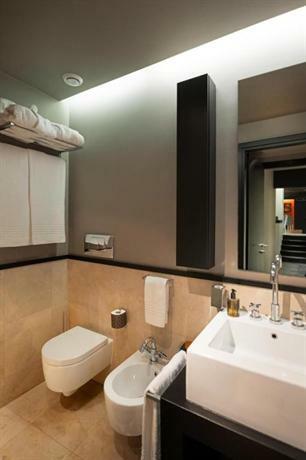 Every single room in this hotel has large spacious bathrooms, and private balconies from which to look out into the city. In addition to that, the hotel is known to have played host to a number of different celebrated personalities, though their identities are handled with all due discretion. This boutique hotel is located along the Grand Canal, and as such is in the very heart and soul of the city. You can go up to the Gritti terrace and simply watch as the gondolas and water taxis pass by, carrying lovers and tourists down the canals of the City of Water. You also get a nice view of one of Venice’s foremost churches named Santa Maria della Salute. While the hotel is quite close to prime attractions and spots such as the Calle Largo XXII Marzo, it is also sequestered enough to be peaceful and quiet. This hotel also comes with a lot of history attached, considering the structure on which the hotel has been established used to be a palace back in 1475. The entire hotel has only recently undergone restoration, in which all the paintings and sculptures of the hotel were restored and rejuvenated. They also installed a lovely spa called Acqua di Parma spa in case you need a little rejuvenation. The interiors of the hotel are grand, to say the least. They feature Murano chandeliers, and all the walls of the hotel are adorned with beautiful classical pieces of art. Even though the bathrooms are relatively small in size, they’re still well designed and marble clad. There’s not a touch of contemporary here. It’s all a paean to a romanticized past. 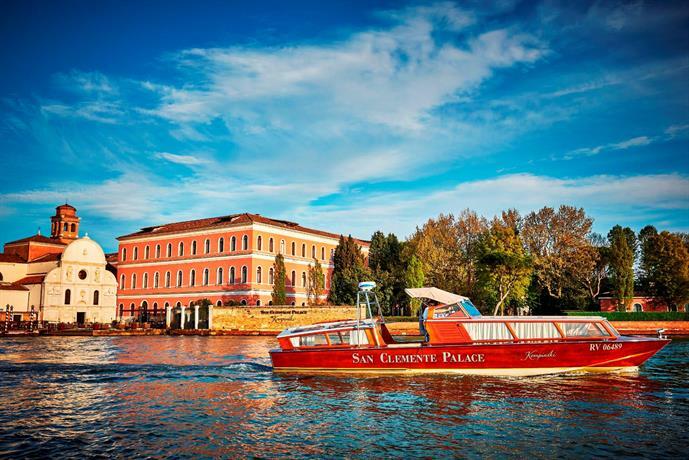 The San Clemente Palace Kempinski Hotel is primarily famous because it’s located on a private island. Depending on your preferences, you’d either bemoan the fact that you need to commute to the center of Venice by water taxis, or you’ll appreciate the fact that you can be in a truly remote island resort away from the hustle and bustle of the city and its tourists. However, if you’d like to go to San Marco, that would take only 10 minutes, and the hotel regularly arranges trips back and forth. The general vibe of the hotel is quite welcoming yet subdued and understated. 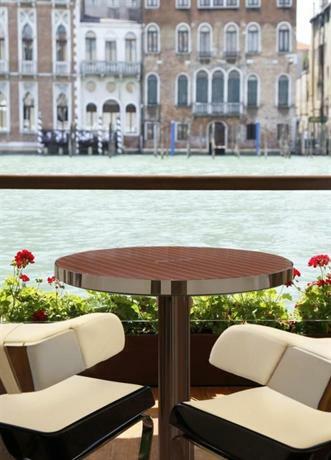 The only thing remotely modern about this luxury hotel is the line of suites with a view of Venice the city. Generally the hotels in the city, even the most luxurious ones, are quite short of space, however with San Clemente that won’t be a problem at all. The corridors, common areas, gardens, and the rooms are all very spacious and wide with a lot of space to simply loiter around. The hotel is mostly functional during the warmer seasons, between March to November. The hotel features three restaurants — Acquerello is popular for its Venetian dishes, Insieme is famous for its brilliant breakfasts made of local produce, and Dolce is a laid-back restaurant by the pool. 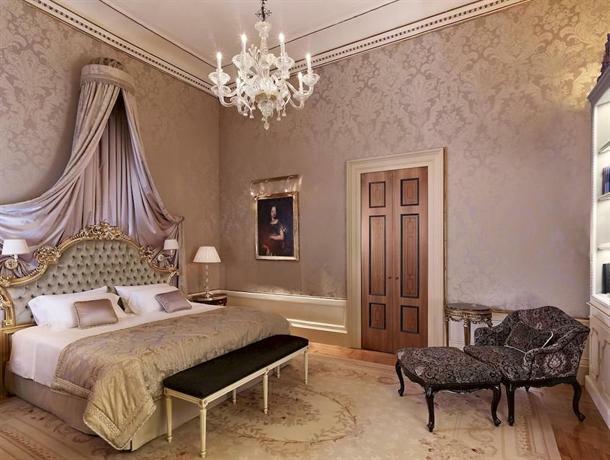 All the rooms feature high ceilings with ornate Murano chandeliers. The Hilton Molino Stucky is yet another luxury boutique hotel which is favored by guests for its rooftop swimming pool (which is accessible seasonally) and its stunning view of the whole lagoon. The service provided by the hotel is really quite helpful. The staff is uniformly multilingual to erase any communication gaps, and they can provide currency exchange services, or even act as guides to some of the historic sights one must visit when in Venice. The lounge area and the outdoor terrace also offer refreshments, afternoon tea, snacks, or alcoholic beverages of your choosing. 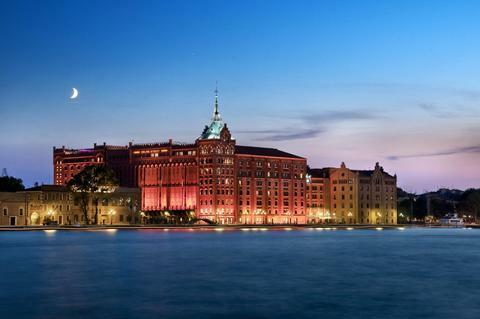 This is a luxurious five star hotel on the waterfront of Venice. It is located on the Riva degli Schiavoni, from which you can also go to St Mark’s Square via a short and brief gondola ride. Because this is such a prime tourist location, it’s often quite heavy on traffic and noise, however if you want a little more peace, you can set off into the side streets of Castello. The hotel comprises three buildings — the Palazzo Dandolo, the Excelsior, and Casa Nuovo. While Palazzo Dandolo is a 14th century structure, and thus quite ancient in quality, the other buildings are considerably modern. The reception area is always crowded, however the lounge area is well decorated with a truly lovely ceiling. Overall there are 210 rooms in the hotel, of 13 different types, and many of them look out at the lagoon. The rooms of the hotel are regally decked up with thick intricate lacquered furnitures, Murano chandeliers on the ceilings, and damask curtains. It features a rooftop restaurant by the name of Terrazza Danieli which offers one of the most gorgeous and unhindered sights of the city around. If you stay at the Casa Nuova part of the hotel then you’ll be met with a contrasting and more minimalist aesthetic of creamy wallpapers and pastel shades all around. As such, you can decide for yourself the kind of vibe you’d prefer. 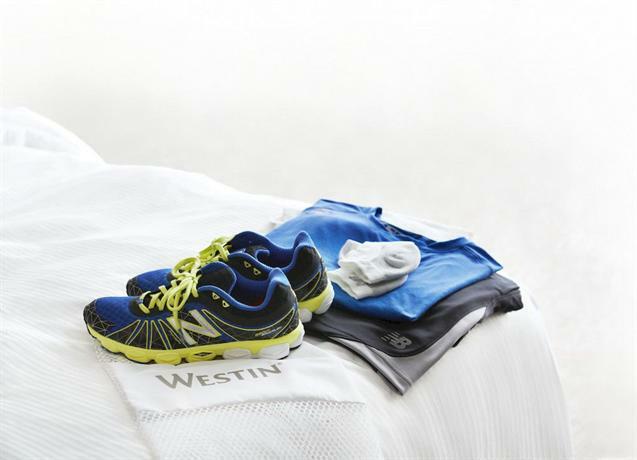 The Westin Hotel Europa & Regina is one of the best located luxury hotels in all of Venice. It’s located on the Grand Canal itself. A short gondola ride can also take you to other prime attractions of the city such as Piazza San Marco or Santa Maria della Salute, a revered church. The hotel is a combination of about 5 different buildings, all built between the 17th and 19th centuries. As such the architectural design and stylistic motifs of the hotel are distinctly authentic, with elegant furnitures, ornate mirrors, and even a piano bar near the lobby. The rooms all bear distinct personalities as they weren’t all originally intended to be hotel rooms. This hotel has a grand view of the lagoon, stretching out further past Santa Maria della Salute towards St Mark’s from the Giudecca island. Another great site close to the location is the Zitelle vaporetto stop. This hotel is built on a structure that once used to be a convent in the 16th century, and even now it retains something quiet and dignified about it. The rooms and lobbies have high ceilings so as to enhance the sense of space, and the cloisters courtyards are serene and lush with beauty! This hotel is ideally suited for business and work travelers as it features a relaxing spa, meeting and conference halls, and secretariat services as well. The hotel features several charming lounge areas and bars, and all the guests have access to a complementary breakfast. The spa is definitely a big draw for the hotel, and it rightfully features eight different treatment rooms offering a wide range of spa services and massages. There are 50 rooms in the main building of the hotel, and they’ve been decorated in dark Mahogany details and furniture. If you want a more contemporary and modern aesthetic sense in your rooms, you can get the ones in the Conventino annexe, which have been designed with an oriental leaning in the decor. This is the least expensive entry on this list of luxury hotels, however don''t let that stand in for a lack of quality on the part of this great boutique hotel. The Bauer Palazzo has a complete roster of amenities and facilities, including meeting rooms, spas, fitness centers, restaurants, beauty salons, and anything else you may need. In case you want to go exploring the city without your children, you can also leave them at the hotel’s day care center. The Palazzina G definitely sticks out against the background of Venice and amongst all the other hotels because it favors style and class over all else. If you’re in Venice but don’t necessarily want to be staying in a classical or traditional hotel, you can opt for this ultra chic and modernist luxury hotel, featuring rooms that are completely and perfectly pristine white! The luxury hotel lies alongside the grand canal and several rooms and suites offer a view of the canal. If you care for art then the Palazzo Grassi contemporary art gallery is just opposite to this grand hotel. Located near St Mark’s square, the neighborhood is generally peaceful and calm, and accessible to all the prime locations of the city. 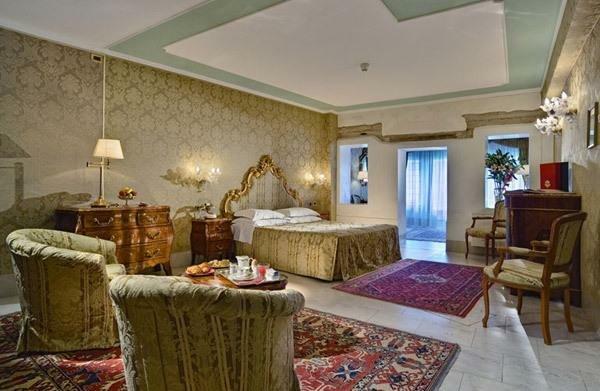 This luxury boutique hotel is smack right in the middle of Venice, near the riva degli Schiavoni promenade which is usually quite crowded with tourists. However, as soon as you step into the Metropole you’ll be completely insulated from all that noise and din of the city. 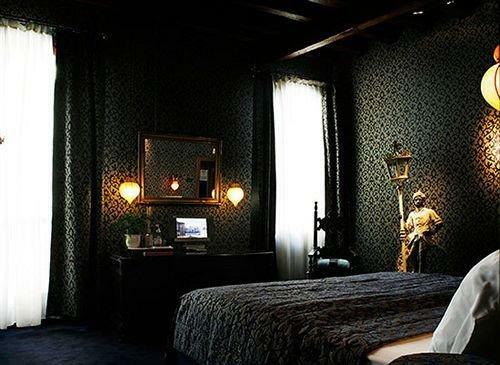 The interiors of the hotel are dark and broody in nature, and the St Mark’s square can be reached quite easily. It’s made in a completely coherent and whole Venetian style with little to no intrusion from external stylistic influences. As such this is the hotel to go if you want a flavor of true Venice, in all its authentic glory. The hotel is so true to its heritage that it still features antique fans, card cases and other bits of ornaments that have been out of vogue for well over a century. The hotel has been in the Beggiato family for several generations now, and as such they’ve also generously used family motifs and icons to decorate the halls. This itself gives the hotel a very strong sense of authenticity and value, considering many of their family heirlooms are now priceless antiques. As such you truly feel like you’re walking down the corridors of a rose-tinted past, which is exactly the kind of aesthetic the hotel draws on. However, this quality is the boon and the bane of the hotel as some guests have complained about the lack of proper AC units. This boutique hotel is great for some peace and quiet as it’s away from all the tourist spots. However, this also means that it’s not very well connected to the rest of the city and doesn’t have any major attractions close by. The most impressive locational feature of the hotel is the fact that the San Stae vaporetto stop is close, so you can at least get around the city relatively easily. The rooms in the hotel are all arranged around the courtyard, and the columns and pillars feature some lovely details and designs. The predominant color shades in the hotel are green, red, and golden hues. This boutique hotel is located in Dorsoduro sestiere. The vaporetto stop is quite close to the hotel, which does facilitate travel quite a bit. This hotel is quiet, and it’s extremely trendy and chic. One of the greatest attractions of the hotel — which might be a drawback to some — is the fact that the hotel’s hosts Alessio and Nicola Campa are always around to help out any way they can, or even simply offer you company. If you’re looking for a stay that is so personable and warm, then this is ideal for you. 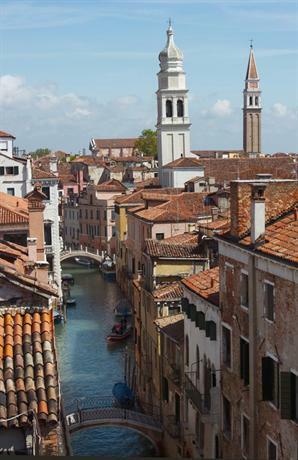 This luxury hotel is a short distance from some of the more tourist-heavy locations of Venice. However, with a location in northern Cannaregio district, that isn’t much of an issue because Cannaregio has plenty of great cafes and shops, however it’s not interrupted by the masses of tourists in this case. This luxury hotel feels palatial and stylish, with grand frescoes on the ceilings and antique decorations and objects found across the hotel lobby and corridors. They also have a lush garden wherein you can relax after a tough day. The 13 rooms of the hotel have different unique designs and colors, though all of them are bold and intricate. This hotel is located in the San Polo district, and a short walk can bring you to Rialto Bridge from which you can easily access St Mark’s Square. The hotel is quite grand and luxurious, with large frescoes painted on the walls and the ceilings, and the use of checkered marble flooring. 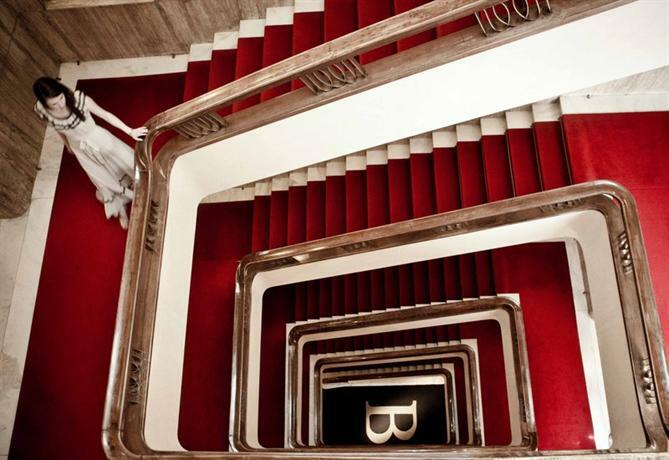 The hotel even features a grand stairway leading into a piano room and a lovely sprawling ballroom for parties. They have 24 rooms overall, and many of them look out at the Grand Canal. 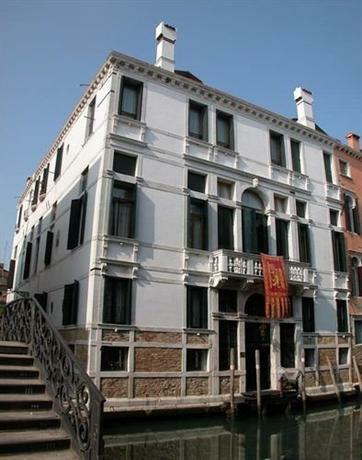 This luxury hotel is located near the Grand Canal from San Marco, in the Dorsoduro area. This is one of the city’s most artistic areas with some truly wonderful art galleries and roadside cafes. In a city which mostly favors old-world charm and beauty in its aesthetic sensibilities, DD724 really stands out for boldly being entirely contemporary and modernist in style. The color palette favored by the hotel is mostly neutral shades with hints of red and orange. The whole hotel only has nine rooms, however they're all brilliant, charming, and extremely modern.